Spending time outdoors on a regular basis is good for your body and mind. It is always nice to take a break from your hectic life. That does not mean you should go out without a phone. Running out of iPhone battery when you are stuck outdoors can be very frustrating. PowerPot X can help. It is a portable generator that turns heat into electricity. PowerPot X can charge 1 tablet, 2 smartphones and 4 GoPro cameras at the same time. 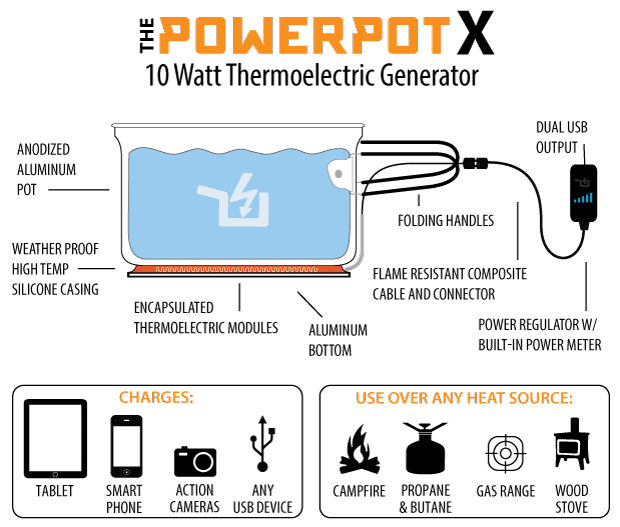 The PowerPot X has the Practical Meter built into it. That means you will know how much power your devices are receiving. The product will be available in 4-quart and 2.4-quart sizes. 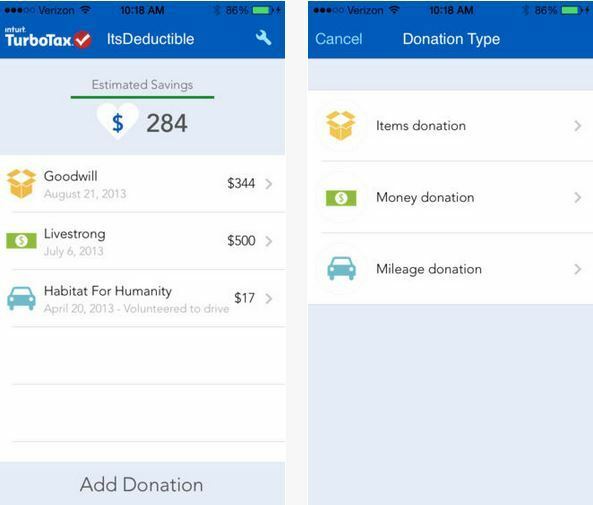 You can prepare food for small or larger groups of people and still charge your smartphone or tablet. How about safety? The system has fire resistant handles and cables. Its thermoelectric system is encapsulated in high-temp, weatherproof silicone. 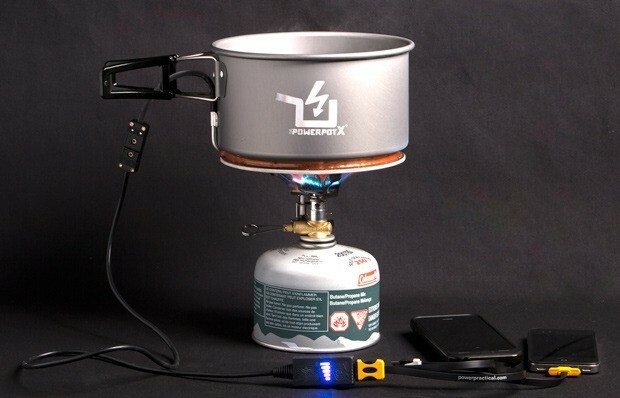 The PowerPot X sounds like a great product for people who spend lots of times outdoors. It is getting funded on Kickstarter right now. How would you improve it?